100th post on this WordPress site. It’s also been a solid month since last I posted, my last one being September 30th. 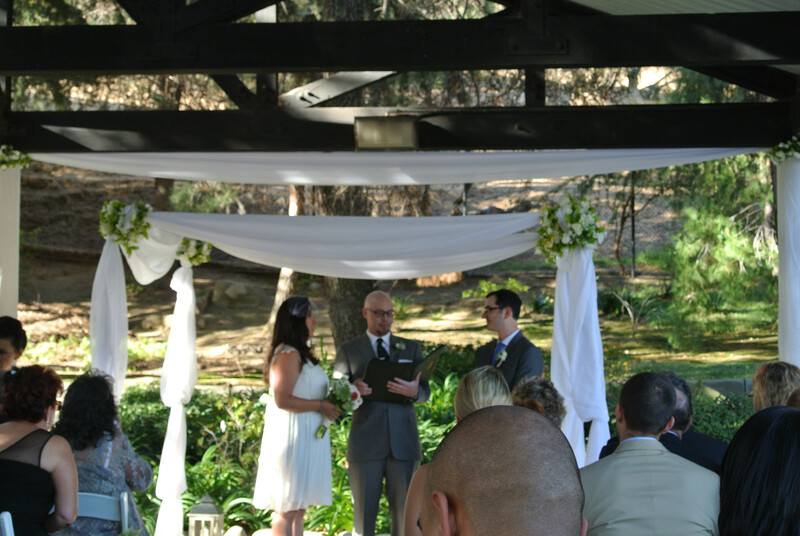 Since then my good friends Amber and Anthony have gotten married, the Dodgers have gotten kicked out of the playoffs, and Sebastian Vettel locked up the F1 championship at the Indian Gran Prix. I’ve also been to Santa Anita Park every weekend since they opened, and got the Volkswagen running again, changing a starter that had been giving me trouble. 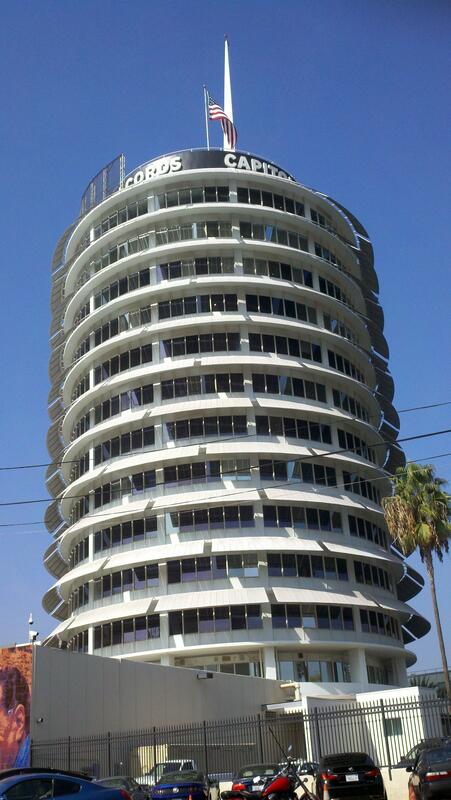 One thing I did, that was a lifelong dream of mine, was to have a little meeting at the Capitol Records building. I contained myself, but my excitement level was pretty high up there for a business meeting. See, the thing is, back in the late 70’s, Capitol Records used to press cassettes in the Glassell Park/Glendale area, by where the old K Mart was off of Fletcher and San Fernando. Kind of around the corner from there, there was an old warehouse and factory back then, and my mom used to work there. Some of my earliest musical memories involve Capitol Records, going to my mom’s job, and picking up surplus vinyls for 1 cent each. I remember getting the J Geils Band, some Beatles, some 45’s of singles from around the time, and just about anything I wanted that was on the label. I remember thinking it was the coolest thing ever, where my mom worked. The Capitol Building though, was another world. 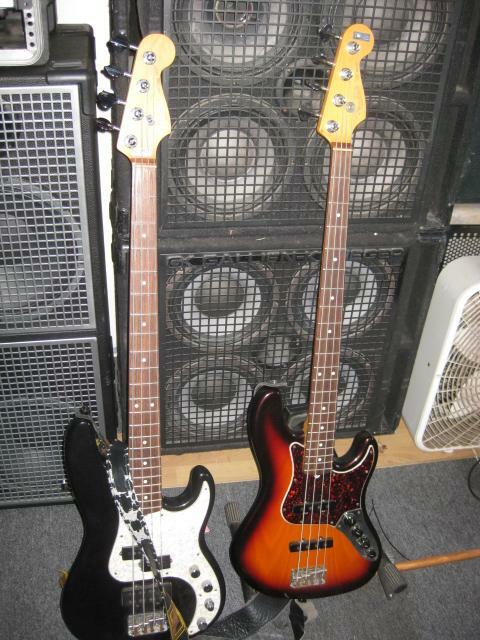 That was where the studios were, and the music was made. I have some cool artifacts from my mom’s days at Capitol, but the office building was for the real jobs. 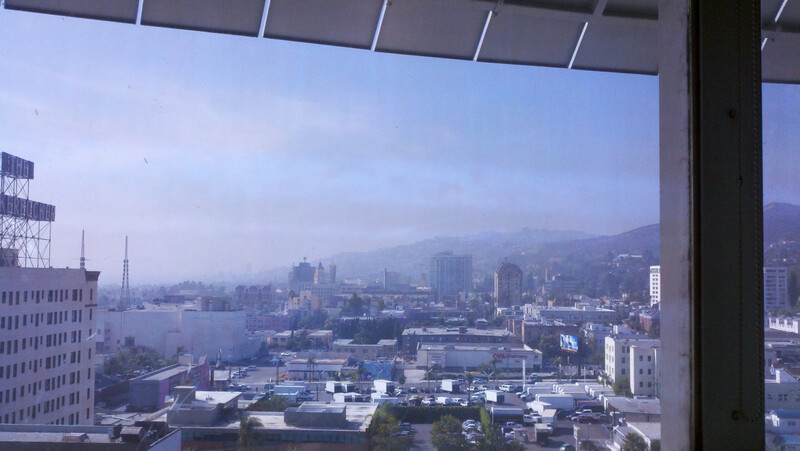 Well, last week on a Friday, a few of us left the office in Woodland Hills at about noon, and cruised down to Capitol to meet some of the staff. I remember getting into the conference room, and wondering about meetings that were held there, possibly artists or songwriters conducting business, or maybe simple pencil pushers like myself. Either way, the view was pretty awesome. We were on the 13th floor, which is cool because some skyscrapers I’ve worked in have skipped 13 on the elevator button list, stooping to superstition. Not here. 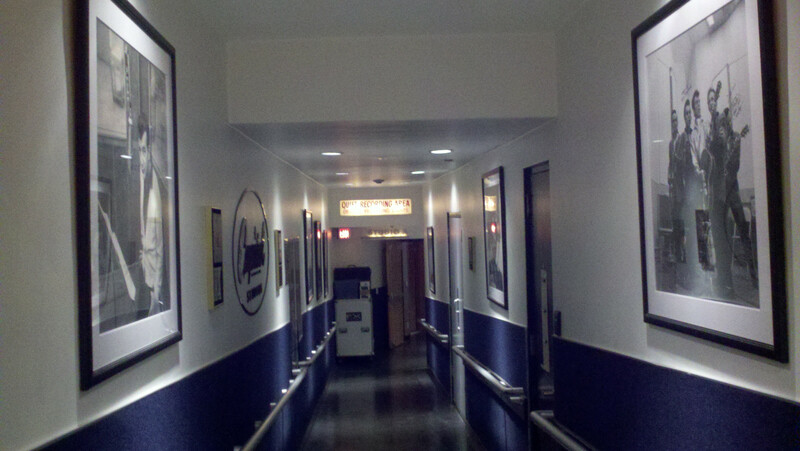 I also snuck a pic of the hallway down to Capitol’s Studio A , and with the pics of the greats that graced the walls there, you could basically feel all the musical mojo and electricity that comes with talent being in the room there. All the biggest names in music, from today’s Katy Perry to Frank Sinatra and Nat King Cole. I have to admit, during the meeting, I paid attention to stuff that pertained to my job function, but when it didn’t, I was pretty much looking out the window. Of course , I wasn’t there in any creative capacity, or this would have been a whole different post, but it was still awesome to conduct some business in this iconic building. Next week is the Breeder’s Cup at Santa Anita, looking forward to getting some great pics of the massive crowd! From what I hear, the grandstands should be PACKED. Stay tuned for that!